Blue Frog is a digital marketing agency that implements strategies based on the inbound marketing philosophy. We’re a HubSpot Platinum partner and ranked in the top 3% of all worldwide HubSpot vendors. 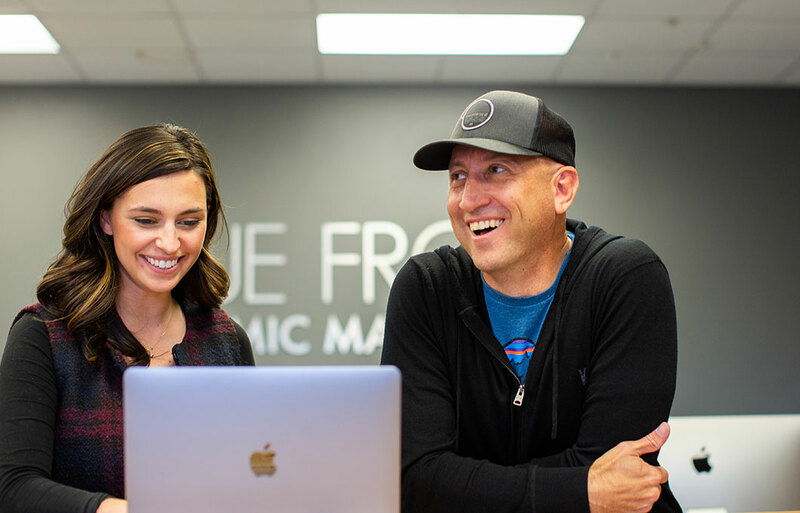 Our team consists of some of the most experienced, certified inbound marketers in the business, including web developers, strategists, digital ad specialists, content experts, videographers, and graphic designers. The Blue Frog team is 100% focused on client success and ethical business practices, which is why we have always made a strong effort to be a transparent and honest company. We’ll explain not only what we’re doing, but also why we’re doing it. We strive to create long-lasting, collaborative partnerships with our clients to implement proven strategies and create sustainable revenue growth. The culture at Blue Frog is a great source of pride for our team. The digital marketing industry evolves very quickly, and in order to stay on top, it’s crucial to have people who aren’t simply doing their job, but pursuing their passion. We hire people who strive to be the best in their profession, take pride in their work, and want to actively contribute to the success of their team. While we hold each other to high standards in regard to timeliness and quality of work, we still know how to have fun. We are friends inside and outside of the office and take an active interest in the professional and personal growth of every member of our team. We believe in and are committed to creating a healthy work-life balance, so we encourage people to take time for themselves when needed. In fact, we have no vacation policy. We always work hard, which means we sometimes need to take a day to catch our breath to make sure our team members can come back feeling energized and recharged. 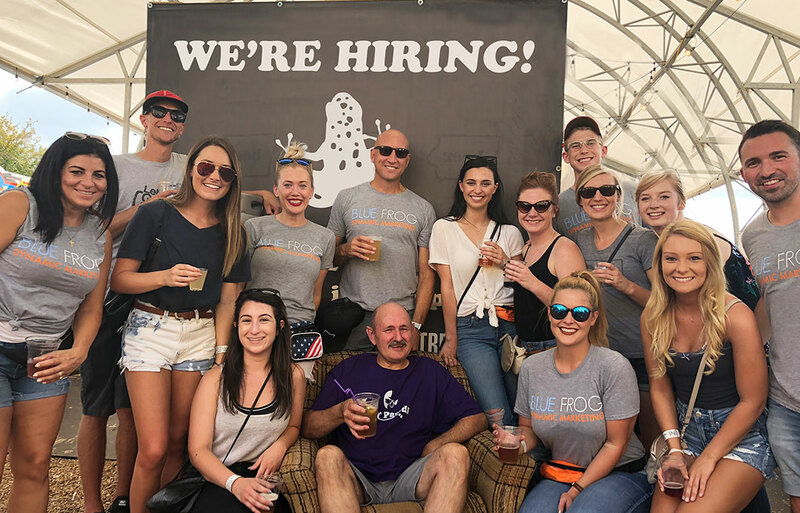 At Blue Frog, we teach our team members more than just marketing—we teach ethics, business fundamentals, teamwork, and responsibility. We view our mentoring and coaching opportunities as critical components to the ongoing growth and success of our staff and our business. Blue Frog’s management strives to serve our employees, providing them opportunities for growth and empowering them to achieve their goals.